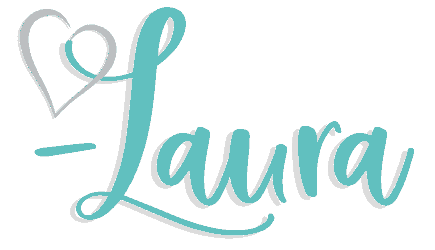 I am excited to share with you the following resources I was able to review from Egglo Entertainment! 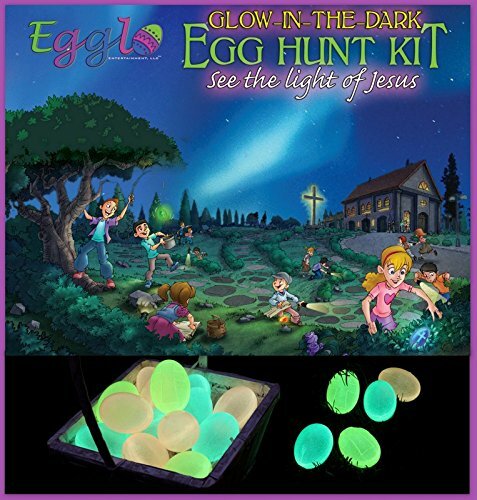 I can hardly wait to show you how our family used Glow in the Dark Egglo Egg Kit to shine the light of Jesus for Easter! One of my kids’ favorite songs is “This Little Light of Mine, I’m going to Let it Shine.” As I looked through the The Egg-cellent Easter Adventure book and The Egglo Glow in the Dark Egg Hunt Event Curriculum, ideas began to form as I reminisced how my children’s hearts began to form from the meaning of one their favorite songs. Easter is a very important day for our family. Although I enjoy reading Easter stories to my kids, I find more enjoyment in finding innovative and creative ways to pull on their heart-strings by adding projects to help bring the story home. We are excited this product came with Easter eggs because one of our family’s most treasured times throughout Easter are Scripture Eggs. This product became and extension of our Easter tradition. My kids were excited about this that I actually had to hide the eggs until closer to time for the review to be finished! So how did we use it? The first thing we did was read the book The Egg-cellent Easter Adventure as a family first. Before I continue, please allow me to speak about this book for a moment. I LOVE books. I especially love good books that not only are fun and draw kids into them, but that teach a Biblical lesson as well. 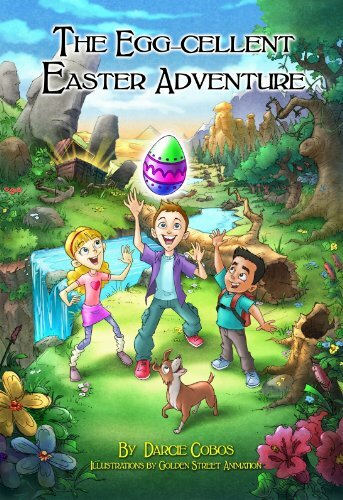 Grab a copy of The Egg-cellent Easter Adventure today! Recently we have had some issues with a child about a particular issue. We have tried many ways to reach him about this particular problem but are trusting God to intervene in His time. Most days we take two steps forward and three steps back. It is frustrating to say the least but God is faithful! So as we begin this story and it continued to unfold, the lessons the kids were learning were lessons that I wanted to teach my kids; specifically the one we had been having issues with. As I read I could see him squirming. I finally asked him what was wrong and he said this lesson had so much truth to what he had been struggling with. I tried to not say too much, which was difficult.. LOL! I didn’t want to interfere where I felt the Holy Spirit was working. It may not solve the issue right now, but I believe it at least planted a seed! This book is beautifully illustrated. The pictures literally draw you right into the page! All my kids from age 6-11 absolutely loved looking at the pictures! In fact, I had to remind them several times to sit and be patient! After we read the story we used the question and answers provided in the curriculum to see how much the kids learned. They did fantastic! Once we finished reading the book and answering the questions, the kids helped me put the Glow in the Dark Egglo Eggs together. 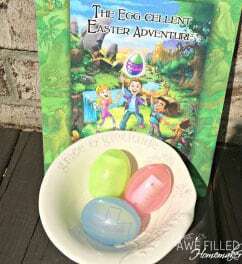 We stuffed them with Egglo Treasure Scripture Scrolls and Egglo Easter Egg Stickers. I let each child keep one egg to remind them of one of the truths that was learned from the book. 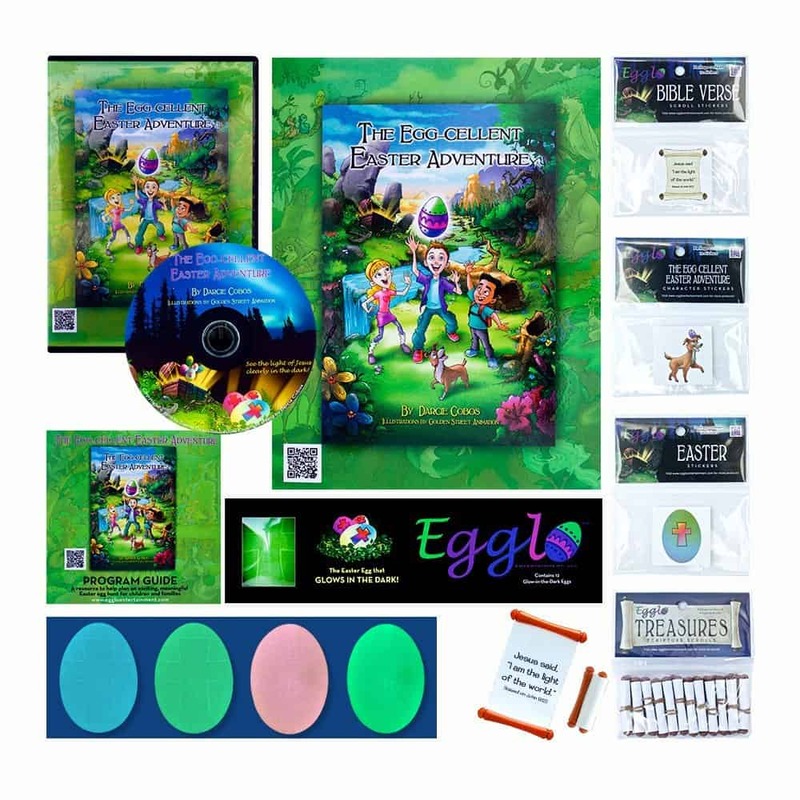 Don’t forget the glow in the dark Egglo Glow in the Dark Easter Egg Kit! When I first received the goodies for this review the idea came to me on how to encourage my kids to let their light shine. As a military family it is very important to be a part of the community. We have always took the kids to community service events from preparing barracks rooms for single soldiers returning from war, to Wreaths Across America at Arlington, volunteering to pick up trash in the neighborhood and even offering our time at the local food bank. It is more important than ever before to teach our children to be the light that shines. It is important for my husband and me to teach our boys to be courageous. We must continually encourage our boys let their light shine and not allow darkness to overcome it. We decided to travel around town and with us we took a basket of our Glow in the Dark Egglo Eggs and printouts from the wonderful curriculum that came with our package! The glow in the dark eggs are perfect to encourage others to be a light in a dark world. My boys randomly walked up to folks and handed out the eggs for encouragement. 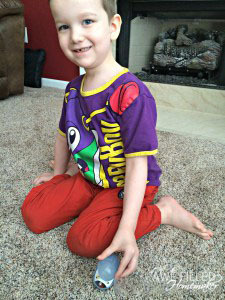 My boys are everywhere on the spectrum, so to speak. 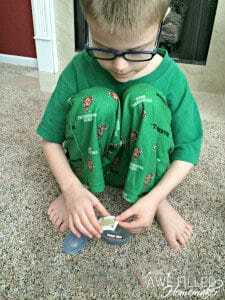 My oldest is (as my husband says) a natural salesman. When he was involved with the BSA, my husband taught my oldest how to overcome objections, how to build rapport in a short amount of time, and taught him some ice-breaker salesman comments. My husband, by the way, was an Army Recruiter for four years. My middle child is shy and this project was extremely difficult for him. I admit when I first found out I was reviewing this, I had no idea how I was going to use this. However, between the wonderful material that was provided from the book, the eggs, the scrolls, and the curriculum, God just led me on this one! Isn’t it wonderful to just step back and watch Him work? If you’re a parent, grandparent, AWANA leader, Sunday School teacher, or work with kids in any way, this product is one you will want to add in this Easter. Thank you Egglo Entertainment for this opportunity and thank you for such wonderful material to reach the hearts of my children. I love the idea of handing the eggs to strangers. Wonderful evangelism! I love this. It’s so important to teach our kids bibical lessons and this is the best way to do that. I love how your son got it. your amazing that you were able to stay quiet I don’t know that I could. Actually I don’t, but that’s one of the things I’m working on or rather God is working on in me. Thank you for sharing!